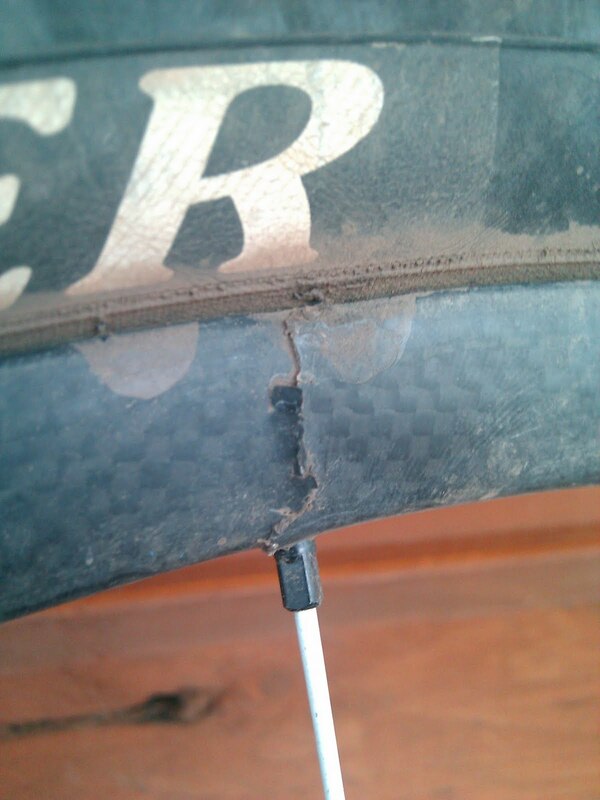 I had an aluminum Bontrager rim blow out in a similar fashion - Trek was great about the warantee - but it did take 6 weeks to get a new wheel. where I mtb, carbon doesn't last through the rocks. We're ride in such remote and rocky trails that it's not worth risking. If you get a warranty replacement, sell it on ebay. Get a wheel with a +/- 60$ aluminum rim. If you see a difference, it's call a placebo. 2011 9.9 SSL rear carbon wheel delaminated after a few months. Took 8 weeks for Trek to say "sorry, but you'll have to pay for it". Ouch. Unhappy w/Trek.